We all can use more time in our lives and businesses. Here are a few tips to save you time and/or to keep you organized, because the more organized you are, it usually means saving time too 🙂 Try taking a tip or two a week to implement. 1. Don’t let your desktop be a catch all. Set up folders and subfolders for all your business and any side projects. The more you can break down your folders into more manageable categories the less time it will take to find what you need. You can also download a wallpaper that will help you organize your desktop. Here are a few ideas to get started. 2. This plays into the above but uses a photo program to organize your pictures. We live in a mobile world these days, and you may utilize a lot of apps from your phone. If you are an app hoarder, organizing these apps will save you so much time and frustration by not having to swipe and search through multiple screens. Make folders that make sense and put the apps you use into these folders according to category or action. On the i-phone you can do this by pressing down on an app to engage editing mode (ie where you can delete the apps) and then taking one app and hovering it over another app you want to create a folder for. The dialogue box will pop up and you name your folder. To add additional apps just drag and drop. You guys know I love Trello for organizing all the things. I use it for keeping track of my social media strategy, my blog editorial calendar, CRM, to-do lists and more. 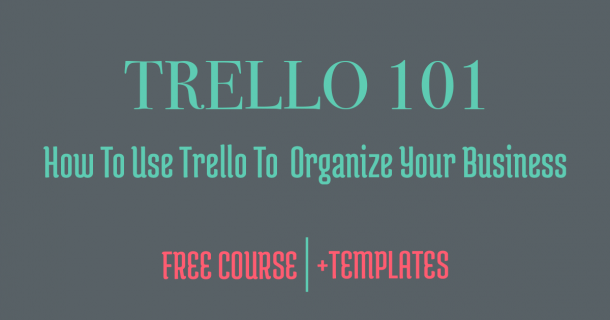 If you want to get started using Trello to organize your business, click below! I use google drive to draft all my blog posts, which I then attach to Trello cards to keep my ideas readily available. I also use Google Drive to share notes with clients, and to prep for calls. Basically, all my writing goes into google drive so it’s easily available from anywhere. Tip: Did you know you can download Google Drive to your computer so it is available off-line? You really should use a digital calendar as an entrepreneur. If you are service-based and you work with clients than it is a must! Keeping your tasks and appointments on a digital calendar allows you to book clients using Acuity, Calendly, or other similar appointment service. Which will make your life so much easier. Google calendar also makes it easy to send more casual invites for networking events, collaborations, etc. Trust me the calendar is your friend and the google calendar is very easily integrated into other programs. Save templates for your blog posts graphics and your social media graphics. There is no reason each time to start from scratch when going to create your content visuals. You can save templates in Photoshop or in Canva (here is an article to help with that). 9. Backup your computer using a cloud service or external hard drive. How much of your whole business lives on your computer. Think about it, what if it breaks, get stolen, etc. What would you lose and how would you recover it? PC Magazine has a list to get you started. How much time does it take when you have to reset a password? How frustrating is that? Make your online life easier by utilizing a program that will automatically fill in your passwords. Check out these 5 options from LifeHacker. Plus it’s an extra layer of security. If you are reusing passwords it’s a big security risk. Pixel Privacy breaks down why this is such a no no and what to do about it in this post. FYI: A document stored on your computer with passwords is not very safe either. 11. Use an accounting software that automatically pulls in your expenses and income. Wave, Xero, and 17 Hats all will do this for you. 12. Use a scheduling program to schedule out your social media posts. Check out this post to see what I use. If you are manually paying all your bills now, I legitimately want you to think about how much time each month that takes you. I know it might not seem like that much time, but I bet you, it adds up. Take it down to zero time by automating what you can. If you are worried about knowing when money is being pulled, most bill pay can be automated to go out on a date chosen by you (not all but a good amount can be chosen). 14. Order everyday things online. I can honestly say between driving, parking, shopping, and checking out I have never in my life taken less than an hour to go to Target. I order all of our household goods and office supplies (tp, paper towels, laundry detergent, soaps, etc…I won’t give you my whole shopping list) online. You can do this via Amazon, and certain items I do buy via Amazon, however I encourage you to price check. While I’m all about easy, I’m not going to spend $5+ more on a given product just to order it from Amazon. I order from Vitacost, Walmart, Drugstore.com…there is a ton of options out there other than Amazon and with free shipping 🙂 Plus you can use Ebates on many sites and get a little cash back, I’ve actually made over $200 in cashback this year. IFTTT is a way to create actions between certain programs, using recipes. There are 100s/1000s of recipes covering many different programs and actions. There is also Zapier which is a similar program. I think it is a bit more customizable, however IFTTT is free and many options on Zapier are not. Below are a few IFTTT I use, but I’m always on the look out to figure out what other ways it can be utilized. What tip are you going to try first? And what tip would you add? 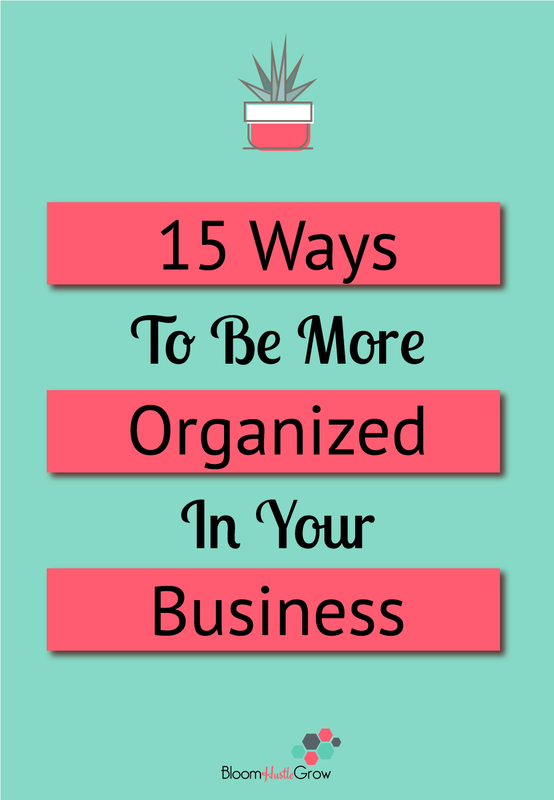 Want a full list of all the tools I use to keep my business on track? Some of the above links are referral links where I get a free service or discount if you sign up. No additional fee to you.